Getting older doesn't mean you have to get slower or that you can't accomplish your goals. We'll show you how to Master your running as you get older. Make sure you sign up to our email list to recieve more information on how to stay healthy and improve as a masters runner. WANT A MASTERS RUNNER TRAINING PLAN? Think Running is all You Need to Keep Your Heart Healthy? Sorry, it’s Not! This article sorts through the most significant findings so far, and gives a list of heart healthy foods for masters runners to stay healthy, and limit risk of heart disease. Is Your VO2 Max High Enough to Prevent Heart Disease? Individuals with a higher VO2 Max are not only at a lower risk of heart disease and certain cancers, but by increasing your VO2 by a minimal amount, you can seriously reduce your future risk. Menopause can bring many uncomfortable side effects for female runners, but there is little research about it. This guide explains why exercise is just what you need to feel better. Magnesium for Masters Runners: Does it Assist with Recovery? There are so many foods we need to include in our diet, but what makes Magnesium so special? Interesting findings about why we all need more to run better and how it can improve our long term health in many ways. Female masters runners have few resources available when it comes to running. Bennett Cohen has some advice just for you; how to run your fastest times ever, and prevent injuries. Nice to see information for masters for a change! 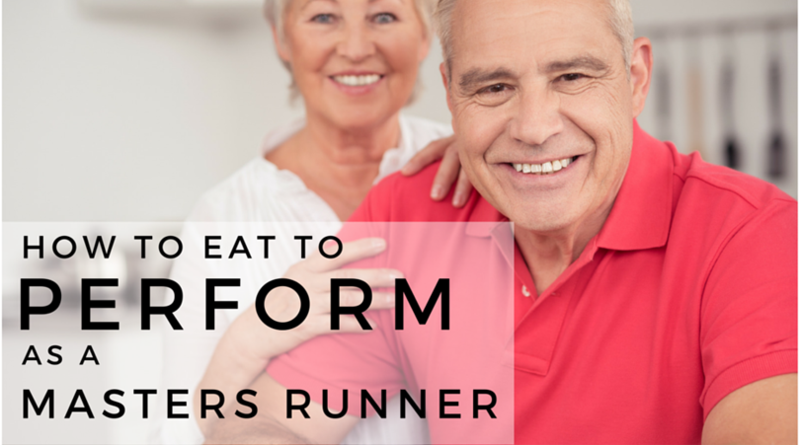 Masters runners cannot get away with eating the same way as when we were younger. This article has some helpful, practical advice on how to eat healthy as a master to feel strong and stay fit as you age. If you have always wanted to try track racing, here is the lowdown on how to race track, and the basics you need to know come race day. When your true PRs are behind you, racing motivation can drop. We show you how to reset the PR clock, try new distances, & find other ways to enjoy running. Running in the heat can be tough, but did you know as a masters runner you are at a disadvantage? These simple tips explain how to successfully run through the summer at every age. 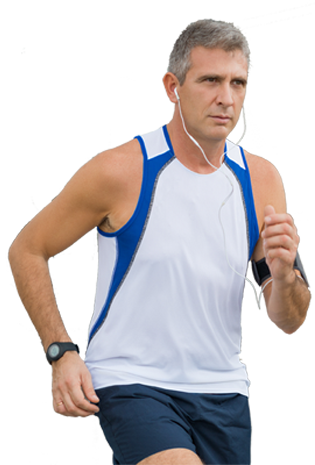 Higher levels of testosterone and hGH result in faster running, but masters hormone levels drop as they age. This circuit will increase levels using the 4 variables to get the most effective workout to raise levels (and stay injury free!). Master's runners need to make strength and stability a priority to stay healthy, we explain why, and share 6 of the best exercises to make sure you stay healthy. Experienced runner Amanda Loudin gives some very helpful advice on how and why you need to adjust your approach training as you age, to become a master, in every sense of the word! You Can Be Fit After 50! Think you are "too old" to run? Wrong! This interview with Older, Faster, Stronger Author Margaret Webb shows how you can begin running at any age! Listen to this inspiring interview with Kathrine Switzer about that historic day at the Boston Marathon, and she talks about the importance of running and runners in creating freedom for people all over the world. Ever wondered what life is like for a marathoner who has run 200 sub 3 hour marathons, and 76 sub 2:20 marathons? We interview this inspiring masters runner. Susan Loken is one inspirational masters runner! From a run-walk mother of 3 to a 4 time marathon masters champion, learn her tips & tricks to running fast! Age grading calculators are common for masters runners striving for improvement, but are they reliable? We find out and explain how to use them correctly. Masters Runner Kathy Martin has held every world record from the 800m to the 50k, and is continuing to change the rules when it comes to masters running. Will Magnesium Improve Recovery and Increase Strength? Running as you age. Is it all bad? How much does age affect running performance – is it all downhill after 40?